This website is designed to work on all standard browsers(Internet Explorer, Google Chrome, Mozilla Firefox or Opra) as well as modern mobile devices (tablets and smartphones). For best viewing results from a PC or laptop, we recommend using the latest version of one of the standard browsers. If you are using Internet Explorer, make sure"compatibility mode" is disabled. Images and Videos don't display correctly. Please report any issues with the website to our webmaster. The city's website has been integrated with the Google Drive application which allows us to more efficiently manage the website, provide the public with more information that is easier to navigate and more accessible from mobile devices. Have city website calendar events automatically show up on their personal Google Calendar eliminating the need to revisit the city website calendar. 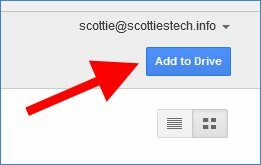 Add documents or folders of documents to the personal Google Drive account where they can be filed, searched and shared as desired. 3) Click on the Google Calendar button in the bottom right corner. IF YOU EXPERIENCE ANY PROBLEMS WITH THE WEBSITE, PLEASE CREATE A SUPPORT TICKET AND LET US KNOW SO WE CAN GET RIGHT ON IT!